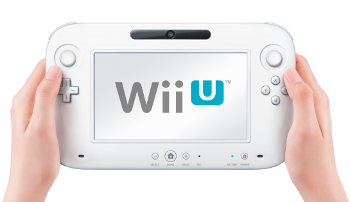 The Wii U is upon us, at least in prototype form, so it was only natural that we'd want to get our hands on it. The new touchpad controller seems to be the heart of this year's reveal; apart from the HD graphics, Nintendo's conference spent surprisingly little time discussing the actual power of the system. It's no surprise then that all of the tech demos being shown by Nintendo lean heavily on the new controller. Before we get to the actual experiences, none of the games we're talking about are really games in the commercial sense; they're just proof of concept demos meant to suggest what types of experiences we might see. So when I mention Mario or Zelda, it's just because the tech demos use familiar characters. 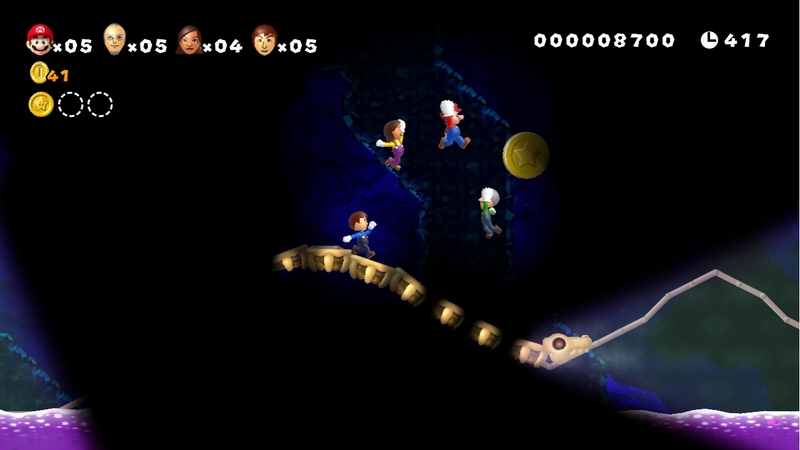 This two-on-one fight puts one player in charge of a flying ship using the new controller and tasks him or her with battling it out with the other two players who are on foot and using the standard Wiimote and nunchuck controls. The left stick of the controller works just like the standard WASD controls of other shooters, but instead of using the right stick to control your view, you simply move the touchpad around to aim at your enemies. It takes a bit of getting used to but once you get the hang of using the right stick to control your altitude and give an added speed boost to your turns, you can really make your way around the complex level quite easily. The demo for the high definition capabilities featured our green hat hero Link in "realistic" high definition, you know, like we've always wanted to see him. The scene was our Twilight Princess design of Link in a sprawling castle, proceeded by a battle sequence with Gohma. 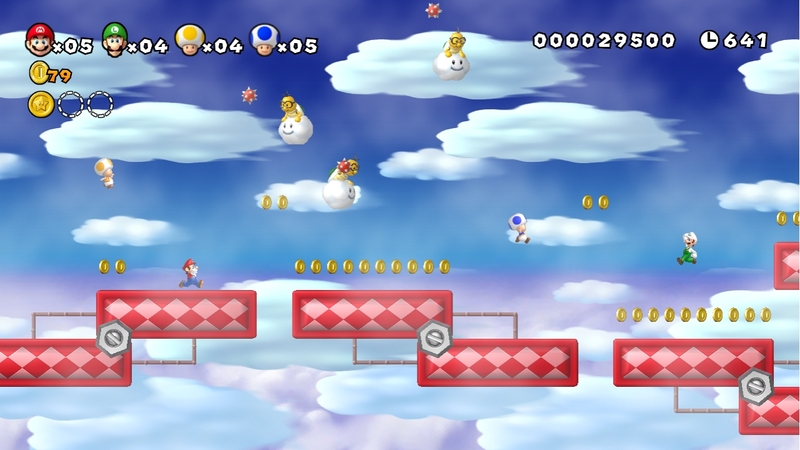 Using the Wii U remote, you could make the castle light or dark, sunlight to moonlight changed the environment drastically, dynamically altering the scene. You could also change the angle of the camera to one of several vantage points, giving you different insights as to how the battle plays out. The controller also displays the map and the potential inventory section, and gives you the option to switch the menu from the remote to the TV screen. The scene ended before the end of the battle, and I nearly stomped by foot like a two year old. Okay, so those were the logistics. Here's the big thing. It looked amazing. The textures were crisp and clean, the reflection from the floor was dynamic and shifted in natural light. There were several little Navi-like fairies flying all around leaving sparking trails of fairy dust, all flickering independently. You could see each hair on Gohma's furry spider body. Nintendo. Please make this game for me. This demo was essentially showing how the Wii U remote communicated with the system. I played Measure Up head-to-head with the Nintendo representative at the booth. We had to draw various measurements, and geometrical figures in either centimeters or inches. Not wanting to be judged even more harshly than necessary, I went with inches to make it easier for myself. First, I was asked to draw a one inch line. Easy enough. Next was a triangle with 1 Â½ inch sides. Okay, done. A 35 degree angle. Fine. Then, a squiggly line totaling 12 inches. Ummmmm....I got totally schooled by the representative who clearly has better perception than I. Drat. Everything we drew showed up on the screen exactly how I drew it on the remote. I'm going to go ahead and assume that the measurements were accurate, as I was always terrible at measurements. And drawing. And angles. 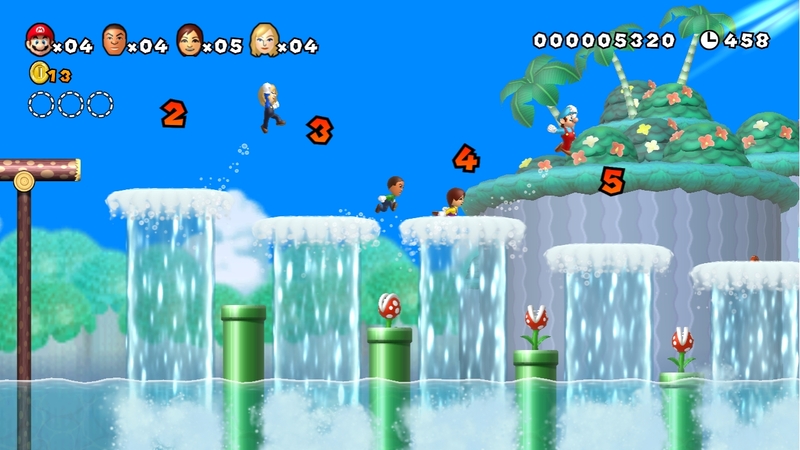 Tech demo Super Mario Bros. Mii for the Wii U was simply a version of New Super Mario Bros. Wii with the main character's head replaced by a Mii head. It's a cute effect and gives things a personalized feel. I played the demo with the Wii U controller alone, but Wii Remotes were also attached to the demo to show the Wii U's multiple controller functionality (though it should be noted that only one Wii U controller was available). 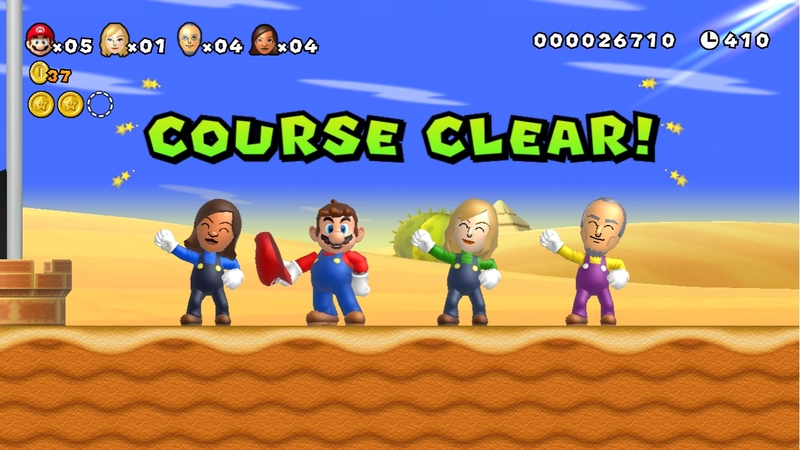 There wasn't much new done with Super Mario Bros. Mii in terms of a Wii U product other than the fact that I could either play both as a handheld and on the TV screen. The Wii U certainly doesn't look like your typical controller, but it did feel comfortable using it to play the game on the TV. You can shake the Wii U pad to make your character spin-jump, but it felt a little unwieldy to perform a shake above just pressing a trigger. The big deal for this demo was probably showing how players can turn off the TV and use the Wii U controller as its own mini-console if mother needs to watch her shows. I have to admit that while playing and looking down at the Wii U pad, I sometimes forgot there was a TV in front of me. It was a weird, but futuristic feeling to have this choice. The TV obviously looked better, as I didn't find the pad's screen to be super sharp at this point in time, but it is comfortable to play on should it be necessary. Considering the popularity of Super Mario Bros., I would expect Super Mario Bros. Mii or something like it to make its way out of tech demo status sometime during the Wii U's lifetime. Shield Pose takes place with the player surrounded by three pirate ships out on the ocean. The pirate king directs your movements as he tries to shoot suction-cup arrows at your grill. 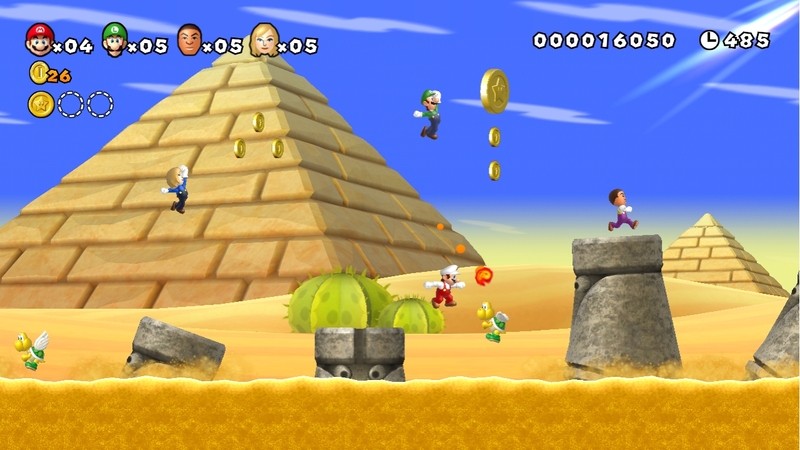 Players begin by holding the Wii U controller downward. The pirate will tell you to hold it forward, left, right, or up at the moon with a rhythm so you can block the arrows, and then shake them off (all at specific points in the beat of the music). If the pirate says "left" players have to not only move the pad left but also focus it on the pirate ship on their left side. It gets complicated when he adds multiple directions which must be turned to quickly on the beat. You might not look like the coolest kid in town as you flail the Wii U pad about during Shield Pose, but it was really neat how it used both the pad's screen as a shield and the pirate on the TV as your director. As the end of the demo, I had to shake the pad wildly to build up a massive energy ball, and then pushed the pad forward to blast the pirate king to death. I felt bad, he seemed like an okay guy. After finishing my demo of Shield Pose, it was pretty obvious that Nintendo is going to need to think about a strong strap to keep the thing from flying out of people's hands. In all the Wii U demos definitely hinted at the possibilities of the new controller, but it'll be a long time before developers truly make the most of it, or treat it as more than a simple gimmick. Given how long its taken for the motion controls to really start to make sense, we could be waiting a while before some smart game developer does something with the touchpad that does more than just mimic what's already possible.